Ukrainian company #Drone.ua announced that it #raised #funds from a number of foreign #private #investors used for starting a #joint #venture DroneUA #Agroservice with an estimated #worth of USD 4.7 #million. Moreover, the #State #Aviation #Service of Ukraine has recently presented rules for the #operation of #drones aimed at opening new #opportunities for drone #technology, increasing security of #airspace and #improving the #protection of #privacy. 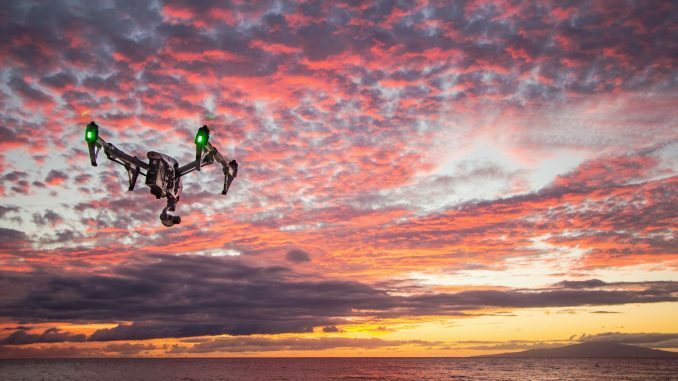 Drones offer great potential, both privately and commercially. Among other things, drones can help solve the problems of modern farmers. In this context, Ukrainian company Drone.ua announced that it had raised funds from a number of private investors from the UK, Poland and Moldova. The interests of investors in Ukraine are represented by Studio of Agricultural Systems. The investment amount and terms of the deal have not been disclosed yet. The funds have been spent on the formation of a joint venture called DroneUA Agroservice. The joint venture worth is estimated at USD 4.7 million. DroneUA Agroservice will provide services in the area of unmanned aerial vehicles in agriculture. The company will sell its services to agricultural businesses in form of subscription. These services will include aerial photography of plants, vegetation calculations, biochemical plant analysis, soil analysis, etc. The management of the company plans on spending more than a third of the profit on research and development. The assets of the newly founded company include a research centre of the agricultural enterprise in the Cherkassy region with a total area of 1,477 hectares. By the end of 2018, the company intends to hire 200 more employees and open branches in Odessa, Kirovograd and Sumy. As a result of the deal, the land area of DroneUA Agroservice was expanded by more than 30% – up to 3.1 million hectares. In 2017, the drone operators intend to make around 30,000 flights over new territories in Ukraine. As more and more drones rise into the air in Ukraine, their use requires clear rules. Therefore, on 28 April 2017, the State Aviation Service presented a draft regulation setting forth the rules for private and commercial operation of unmanned aerial vehicles in Ukraine. The new regulation aims to open new opportunities for the operation of drones in Ukraine, increase security of airspace and improve the protection of privacy.